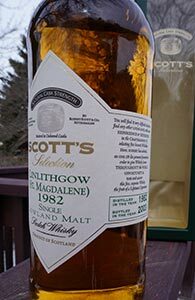 St. Magdalene, also known as Linlithgow, was one of the casualties of the wave of distillery closures in the early 1980s. 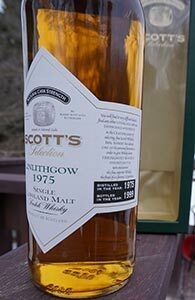 In terms of its current status the gurus seem to put it a little below Port Ellen and Brora: Serge has it in the “Premier Cru Classé” in his rankings. It must be said though that it doesn’t seem to inspire quite that level of devotion among the rank and file as do Port Ellen or Brora or even Caperdonich or Rosebank or Lochside (all of which closed later). 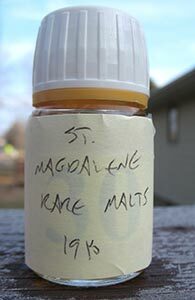 This may be because there’s not as much malt out there from St. Magdalene/Linlithgow for those of us who came later in the game to have tried. I’ve myself barely sampled any of the meagre offerings available on the US market.